Members of the opposition staged a walkout on Wednesday during the farewell breakfast hosted by Prime Minister Shahid Khaqan Abbasi at the Parliament House. The farewell event was marred by the opposition as some members also refused to attend. Lawmakers from the Pakistan Peoples Party (PPP) and Pakistan Tehreek-e-Insaf (PTI) did not participate. Former interior minister and PML-N stalwart Chaudhry Nisar was also absent from the celebratory halwa poori session. Members from the Pakistan Muslim League-Nawaz (PML-N), Jamiat Ulema Islam-F (JUI-F), Muttahida Qaumi Movement (MQM-P), Pashtunkhwa Milli Awami Party (PkMAP) attended the breakfast. 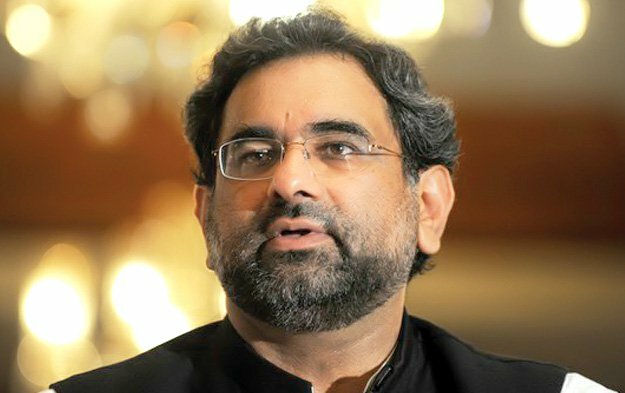 The prime minister, after hosting the breakfast, chaired a meeting of PML-N parliamentarians in which they discussed the approval of the budget and other internal issues. During the meeting, the lawmakers also said a prayer for the departed MNA Rajab Ali Baloch. They also prayed for the swift and safe recovery of Interior Minister Ahsan Iqbal. The premier urged all lawmakers to be present for the approval of the budget. It is expected that the month of Ramazan will begin from Thursday (May 17) this year. This was stated by Secretary General Ruet-e-Hilal Research Council (RHRC) Khalid Ejaz Mufti on Monday. He said the new moon could be sighted only if its age is more than 19 hours at sunset and the difference between sunset and dawn should also be more than 40 minutes. He added that the age of the new moon on the evening of May 16 will be more than 26 hours in all cities of Pakistan. The difference between sunset and moonset will also be 58-60 minutes in various important cities of the country. The RHRC members are confident that the new moon would be visible in all cities of Pakistan on Wednesday, May 16 if there are no clouds, he said.